The knowledgeable staff at Three Rivers Energy welcome the opportunity to learn more about your company's fuel needs. We look forward to providing customized recommendations based on our analysis. Not sure if CNG is for you? Give us a call or send us an email. Our consulting services include assessing the needs of your fleet. At Three Rivers Energy, we are more than happy to conduct a cost-benefit analysis for your fleet. On-site Fuel Stations use existing utility pipelines and can be quickly constructed. For more information on this, please see our CNG Equipment list below. With CNG, your business can rest-assured knowing that you have greater cost stability than with other forms of fuel. Domestically drilled, CNG is the practical choice for your fleet! gasoline, diesel, ethanol and propane. 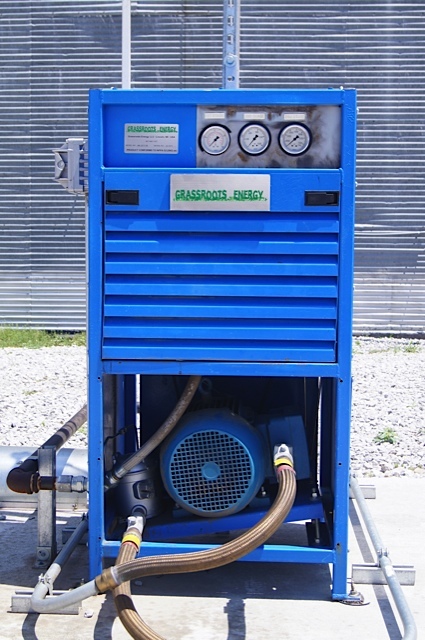 Three Rivers Energy distributes Grassroots Energy products, including diesel retrofits and compressors. These systems are ideal for fleet operators that return to a hub daily. They are onsite and private access systems. When a driver returns, they simply plug the truck in and it fills overnight. When they return in the morning, the truck is full and ready to go. This system reduces down-time spent at a fueling station, any out-of-route miles traveling to a station, and they are easy to use. © Three Rivers Energy. All Rights Reserved.